David Copley, who may soon be named Irishman of the Year, wants people to know what Ireland and St. Patrick’s Day is really all about. 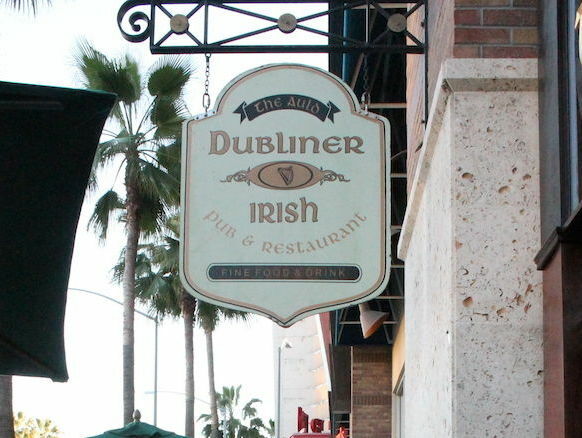 The Irish import and Long Beach resident is the co-owner of The Auld Dubliner Irish Pub and Restaurant on Pine Avenue. He is among several candidates for the 2015 Irishman of the Year honor in Los Angeles. “It certainly means a lot to me personally to be recognized for promoting the Irish culture and Ireland itself,” Copley said. Copley said that since he’s lived here, he notices people buying into the stereotypes associated with Ireland and the Irish, especially on St. Patrick’s Day. The Irish, Copley said, seem to have a bad reputation of being drunkards and party animals, a false stereotype associated heavily with St. Patrick’s Day. Copley said he wants to remind everyone that St. Patrick’s Day is Ireland’s national holiday, meant for celebrating its history and independence with family and friends. Born and raised in Limerick, Ireland, Copley moved to Long Beach in 1994 in his early 20s after spending a few summers with his brother, a resident. He initially opened Limerick’s, a pub in Naples that served beer and wine. But Copley said he wanted a full bar with live entertainment. During the time, he said, downtown near the Pike was one of the few places an establishment could attain liquor and entertainment licenses. Copley eventually partnered with Eric Johnson and opened The Auld Dubliner in 2004. Continuing his mission to break down Irish stereotypes, Copley said The Auld Dubliner is meant to give a very genuine impression of what a pub in Ireland is like today. This St. Patrick’s Day, the pub will open at 9 a.m. for breakfast and will offer their full menu at 11 a.m. Starting at 1 p.m., the Humble Hooligans band will perform inside and will continue playing all day. There will be a selection of more than 450 whiskeys, including more than 80 Irish whiskeys. Along with Guinness, Copley said the pub would carry all of the Irish imports, including O’Hara’s micro craft beer. Patrons also can order the “Dublin Donkey,” an Auld Dubliner signature cocktail. For more information on The Auld Dubliner, visit www.aulddubliner.com. Rebecca Y. Mata can be reached at rmata@gazettes.com.